So back in January, the Literary Hoarders posted their Reading Schedules, as one way to manage the books that needed to be read. I found this to be an excellent organizational tool to focus my reading! So….I’m going to do another one! Below, are the cover snapshots of the books I want to read, to knock off my list, etc. for the next coming months. The book’s description will be shown when you click on the cover. Okay, that’s a lot…there are many, many more to add, but I’ll start with these! It should keep me going for a touch! Again, I did not deviate much at all from my January schedule so I’m sure to continue on with this schedule. There are I’m certain to be more books scheduled throughout the month for the Critical Era and Wink 3 book clubs, but this does tremendously help focus my reading. All This Talk of Love: I’m about half way through this one. A great story about families. LoveStar: Not my genre ever, but it’s for Critical Era book club. That club always expands my horizons, so here I go off to read a Sci-Fi novel. Red Joan: this gem just appeared in our mailbox one day thanks to our book bestie at Random House, Lindsey. She said it was something she thought the LH’s would love. Smoke Portrait: I don’t remember how I came across this book, but our library got it in and it’s next up after I read All This Talk of Love. The Aftermath: a book I had marked as wanting to read, and again Lindsey, the best book bestie ever just threw it in the mail! The Lion Seeker: another Random House ARC that looks very, very good. Pictures at an Exhibition: the author contacted us and it’s a book about letters, so you know I’m all in! Z, from Net Galley. Yes, it’s another unfortunate PDF but I’m going to get to it because it looks wonderful. Studio Saint Ex: from Edelweiss. I haven’t even touched the Audio Books yet! 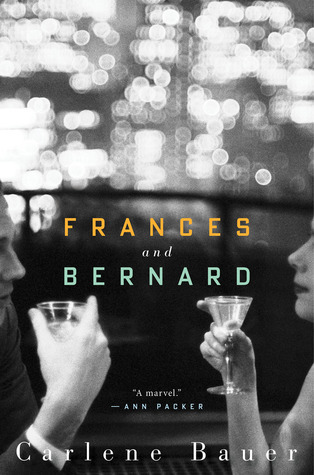 Frances and Bernard: I’m about 60% through this one. Souvenir: This one is also from Audiobook Jukebox and will get to that one once I’ve finished Frances and Bernard. Great idea. After reading this I added my planned reading to my most recent journal post. I found that it really does help!